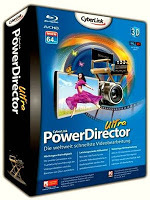 PowerDirector 11 is an amazing software that consists of Content-Aware Editing which provides a revolutionary way to edit video projects. The advanced built-in technology of PowerDirector 11 magically analyzes major scenes, such as those with faces, motion, zoom or pan, and hones in on imperfections that can be improved using TrueTheater, such as poor lighting, and shakiness. Editing videos is now easier, faster and more efficient than ever. - Adds support for RAW images, please check product page for supported camera models.